Bitcoin was back below the $4,000 level Friday morning. The sell-off has “largely been mirroring” what is going on in the stock market recently, according to an analyst. Bitcoin was down 80% from its all-time high. Bitcoin was hammered back below the $4,000 level early Friday. The biggest cryptocurrency by market value fell as much as 7.55% to a low of $3,867. It was lower for a second straight session, and has all but wiped out Wednesday’s gain of more than 10% — its biggest daily advance since April. Bitcoin peers XRP (-5.56%), ethereum (-3.2%), bitcoin cash (-3.8%), and litecoin (-5.97%) were also lower. It has been a difficult year for bitcoin investors, who last year saw prices skyrocket by more than 2,000% to nearly $20,000 a coin. Bitcoin topped out in December and have been in a downward spiral ever since. 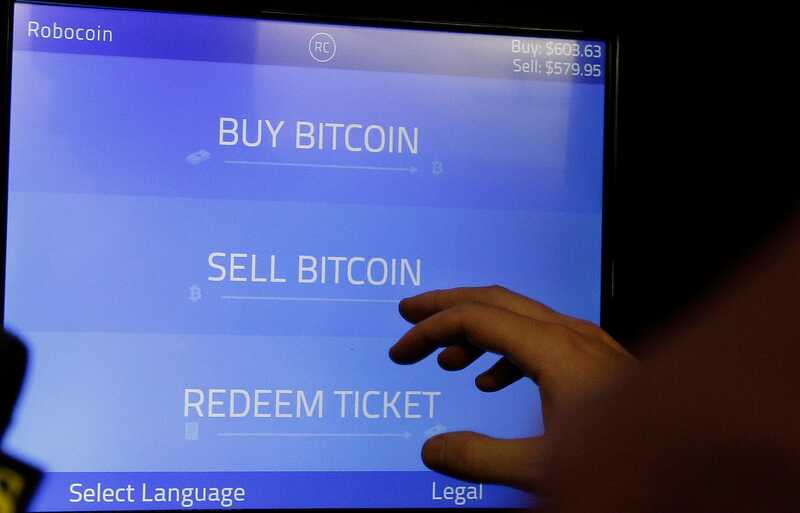 Prices had been stuck in a range between $6,000 and $8,000 since the middle of May, but the cryptocurrencty came under significant pressure in the middle of November. 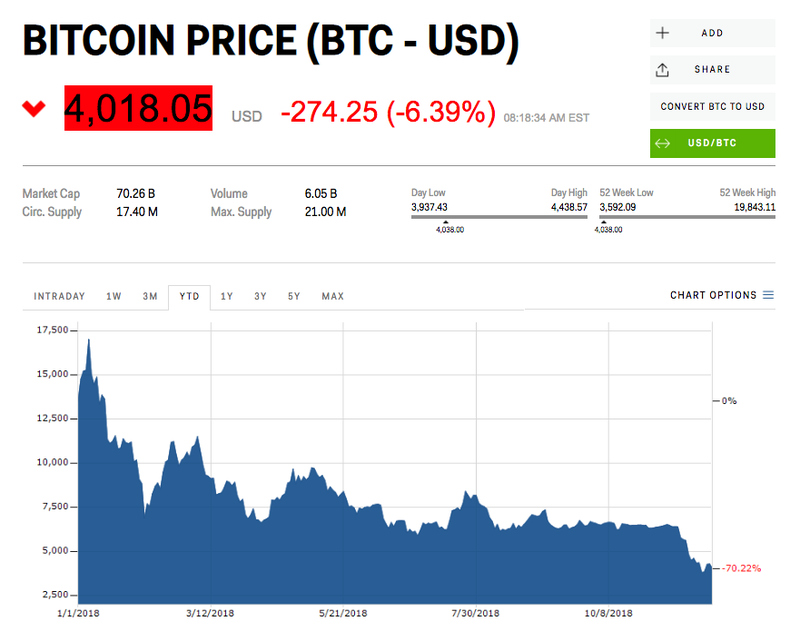 That’s when technical selling pushed bitcoin’s price down to a low of $3,522, its weakest since September 2017 and down more than 80% from its peak.